Was it the same people, speaking about the same things as they did last year? I wasn’t going to attend LawTech Futures this past week as I was to be speaking at the ‘Law and Technology Forum – Re-thinking legal services in a competitive marketplace’ this coming week. Two trips to London in very quick succession for legal technology events would have been difficult to justify. However, when The Law Society (England & Wales) cancelled the latter event due to low sign up numbers I decided to take in the former event. Unlike the Law Society’s proposed conference, LawTech Futures was sold out with 530 delegates attending the one day event in London which saw 2 leading keynote speakers, 6 chairpersons and 45 experts presenting over 3 stages. The success of the event was no doubt down to the excellent marketing/organisational skills of Netlaw Media and Charles Christian combined with their connections in the legal technology world which brought in 40 sponsors. Such was the demand to attend LawTech Futures that security involved showing your invite and a passport to gain access and prevent gatecrashers! Charles Christian kicked the event off with a ‘Welcome to a Brave New Technology Future’. Charles pointed out that what we think might happen in legal technology might not happen. Is the game over for traditional law firms he asked? We need to look at different ways of doing things. If you were building a law firm from scratch you wouldn’t do it the way it has been done in the past. This became a recurring theme throughout the conference no doubt leaving partners of established law firms (the few that were there – more on that later) wondering what they could do with the millstone around their necks. Bring Your Own Device (BYOD) will become more popular. Law Firms rather than supplying devices to their lawyers will expect them to supply their own (some lawyers may prefer this anyway). Working on the move and at home will see the death of the office. The 2012 Olympics in London will accelerate this. Service delivery rather than service cost may become more important. No one size fits all approach is required. Different clients have different needs e.g. some may prefer post over e-mail. More understanding will be required of what your clients really want. Law firms traditionally invest on inward (law firm) facing technologies rather than outward (client) facing technologies. This needs to change. 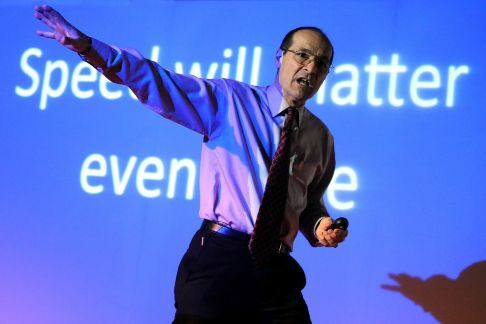 The first LawTech Futures keynote of the day came from Dr. Patrick Dixon who has been ranked as one of the 20 most influential business thinkers alive today and is often described in the media as Europe’s leading futurist. An impressive visual presentation (certainly not the normal PowerPoint) accompanied Patrick”s enthusiastic and compelling talk. Again, the recurring theme of the conference, Patrick asked: what would you put on a blank sheet of paper if creating a new law firm today? Velocity is underlying change. Law firms are moving slower than their clients. Speed will matter even more in the future. The future of law will be driven by emotion. People want 24 hour access. Reorganisation about how you think about service is required. 75% of law firms in the UK are in early merger discussions. Virtual law firms result in smaller offices. There is no need to meet in a lawyer’s HQ. There is nothing new about the cloud. Only thing new is that lawyers are speaking about it. Lawyers will soon all have their own star rating and law firms will have a cumulative star rating based on their lawyers’ stars. Google is fighting back against spam by asking us to tell them what is not spam. Social media facilitates this. This validates you in search results. Following Dr. Patrick Dixon’s keynote we had P. S. Ranganathan, Global Head of Legal Services at Tata Consultancy Services, in conversation with Charles Christian. Unfortunately, this came across more like an advert break for Tata. It was like a television chat show where the guest is really only there to plug their latest book. However, I was left feeling that I didn’t really know what that book was about. A major law firm is using Tata’s services (whatever that might involve) and they have launched a ‘mobile legal office’ that is apparently innovative. My own law firm’s legal IT provider has a mobile legal office solution and I was unsure how Tata’s one was special in comparison. I picked up literature from Tata’s display stand and having read that in the comfort of my own home I still cannot see anything unique about their offering. Perhaps I need to see a demonstration. Following the advert break a LawTech Futures panel discussion (Kevin Green of IBM UK Ltd, Nils Briendstein of Invensys, John Young of Hogan Lovells, Abby Ewen of Simmons & Simmons and Peter Owen of Lights-On Consulting Ltd) took place on whether Corporate Clients are getting the services they need from Law Firms. The main point that seemed to come across from this discussion was that Lawyers don’t ask the right questions about IT. An awareness of what is available is not there. It was thought that IT staff rather than lawyers should be allowed to speak to clients when discussing legal IT. Will that message get through to law firm partners though given that not many were in attendance (more on that later)? Another point made by a client on the panel was that they are not seeing good (perhaps if any) innovation in law firms. During the lunch break I took in some talks on the other stages. ‘Earning Fees Whilst You Sleep’ with Helena Hallgarn of Swedish firm Virtual Intelligence VQ caught my eye. I assumed it would be popular with other delegates. However, most appeared concerned with tucking into their lunch as a priority. The Lounge Stage did allow you to eat lunch at tables in front of the stage but I got the impression that many of the delegates were sitting there for a break: to eat and chat rather than take in more seminars. As the Lounge Stage was at the end of a long open plan area there was also a lot of background noise making it difficult to hear the speakers and impossible for any Q&A sessions to take place. A suggestion to the organisers for LawTech Futures 2013 would be to have this second stage in an enclosed area for those that really want to hear the content on offer. Very apt for lawyers and the delegates who were ignoring Helena’s presentation. The audience around the Demonstration Stage was not huge either but with no tables to eat lunch from at least it was an attentive and quiet one. By this point most delegates were probably tucking into their dessert! In case you think I skipped lunch I did in fact fit it in during the second sitting and between the talks I was interested in hearing – and excellent it was too. I was at the Demonstration Stage to hear Jason Plant’s ‘Inspect-a-Gadget (Mobile Device Comparison) ‘. I have followed Jason for some time on Twitter and regularly read his blog: No Option for Law Firm! Jason gave us a good run down of technology trends in law firms from past to present and a round up of the devices that law firms should be considering today and why. It was good to hear him speak about Windows 8 (often ignored by legal technologists in favour of the latest shiny gadget from Apple or Google) as I believe that this will be an important development for lawyers who predominantly use Microsoft products. There could have been some more of this type of talk at LawTech Futures – from presenters who are using and experiencing technology and not just selling it. 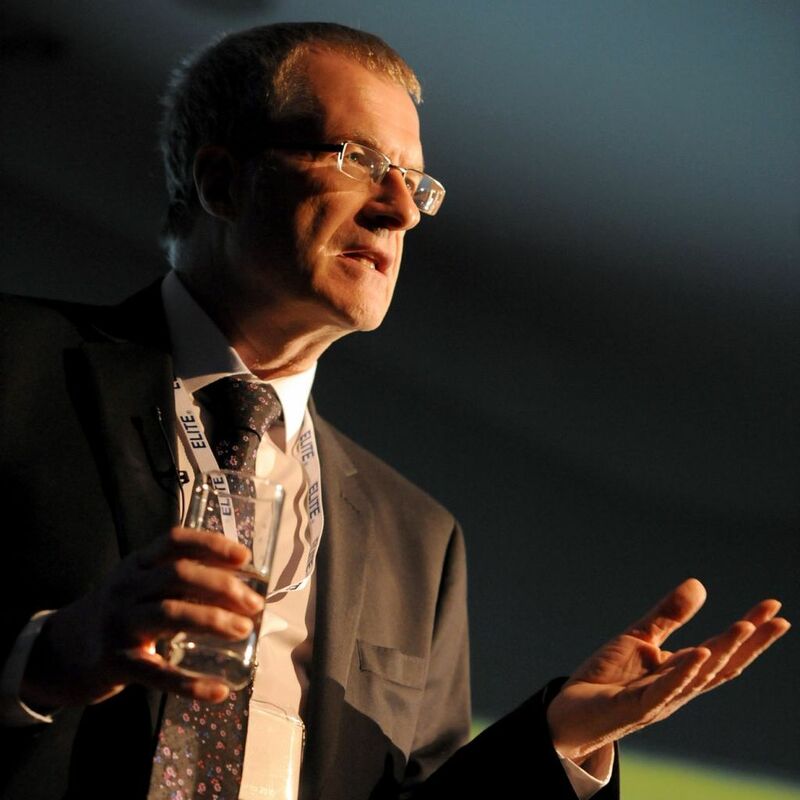 Next up on the Demonstration Stage was Charles Drayson of HotDocs on ‘Document Generation Software in the Practice of Law’. He covered some of the same ground that Helena Hallgarn had on the Lounge Stage earlier but at least could be easily heard . Anyone who hears talks on document generation software should come away knowing that it is the way for law firms to go. The Lunch break was over and it was back into the Main Hall for the second keynote of the day at LawTech Futures: ‘The Future of Law, Technology and Business in a Digital World’. 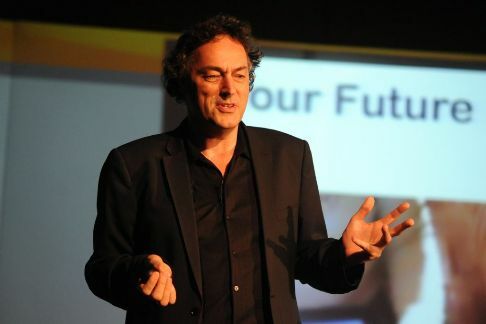 This was delivered by Gerd Leonhard who the Wall Street Journal have called ‘one of the leading Media Futurists in the World’. We now have the AO Generation – Always on. We have moved from Empires to Networks. We are moving from broadcasters to the age of the global village. If lawyers are going to be there in the future they need to be part of the networked society. You need to become a networked law firm because we have a networked society. We are moving from hyper-competition to hyper-collaboration. We shouldn’t be selling only legal services but everything around it. Sharing is the new owning. Curation becomes important to make sense of this river of information. Virtual services provide a huge opportunity for legal services. E.g. Google hangouts. Either disrupt something or you are disrupted. Lawyers will get paid by virtual currencies in the future e.g. Facebook credits. Future for law firms will be added value. People of the screen… do they still need us? Does your CEO have a blog? Does your team make YouTube videos? Soon we will have the law cloud. Legal information freely available online. What will law firms then sell and how? The future: ‘Inter-connected Business Models’. Moving from value chains to value circles. The future: Interaction before Transaction. It’s about being a human brand. Do people LIKE their law firm? Much to ponder over there. But what are law firms doing about it or what should they be doing about it on a practical level? More on that later. Local reputation and Google places can be powerful for small law firms. It won’t necessarily be the bigger law firms that come out on top in the future. Speed and scale is a magic formula. There is the opportunity for partnerships on a different type of level – networks. Law firms know about partnerships (internal) and could create them (external). We have to start living in the same reality as our clients. In every company it should be part of your job to innovate. Some law firms are rabbits sitting in the headlights. Ask clients what we can do for them and strategically implement it. Future of law firms that will be successful are those that become data companies. IT and the business should be so close together as to be indistinguishable. Clients will decide and drive change. One thing that surprised me in this last session was delegate doubts over cloud computing and the inability of the panel to counter these, in fact they seemed to be supporting them. One delegate made the observation that a definition of ‘cloud’ was ‘to obscure’. Another delegate advised that their law firm had looked at cloud computing but could not fully implement it at the moment because the Edinburgh to Glasgow train did not have WiFi and their solicitors spent a lot of time commuting between the two! The best response that one of the Scottish panelists could come up with was that perhaps Scot Rail hadn’t fitted WiFi for fear of it being nicked when the train reached Glasgow. This is a train not a plane so how do you expect to reach the cloud? 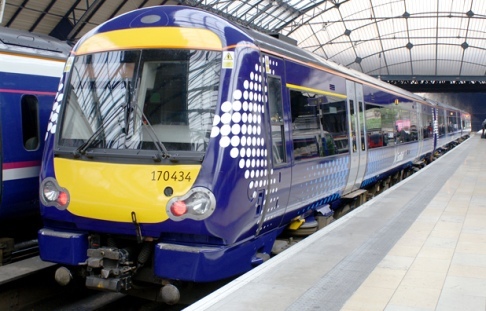 The reality is that the train journey between Edinburgh and Glasgow takes 45 minutes with good 3G coverage for most of the way – ample for the needs of cloud connectivity. Furthermore what detailed work is a solicitor doing in a short 45 minute train journey that would need full office connectivity anyway? Mobile connectivity to e-mails by 3G over a phone is probably more than sufficient. Law Firms should also be wary of staff working on confidential information on lap tops on busy trains in any event. See: Tom Kilroy’s blog post ‘It’s criminal on the 07:43 from Woking‘ and Legal Bizzle’s follow up: ‘The pigeon has landed: introducing the Kilroy Scale‘. I often travel on much longer train journeys (e.g. Glasgow to Inverness or Glasgow to London) where if there is WiFi (none at all on the Glasgow to Inverness line) it is poor at the best of times. Cloud computing gives you connectivity to your law firm’s data in a way that you simply do not have at the moment without it. To denounce it because on occasion you will not be able to access it (when you would not have been able to do so in any event) is ludicrous. LawTech Futures should be smashing the myths surrounding such matters as cloud computing and not encouraging them. Indeed I was flabbergasted to hear that Pepermint Technology were spending £2 million creating a data centre just for lawyers because this would be more secure than a data centre shared with non-lawyers. What nonsense but presumably it helps sell Pepermint’s product to lawyers who know no better and are scared of moving to the cloud. Thus LawTech Futures 2012 came to an end with a promise of a bigger and better event in March 2013 and another linked but different event on 23 October 2012. Jon Busby, a sceptic who was not in attendance, tweeted “this is same people saying same thing as last year and year before that, nothing new which says it all really.” I would tend to disagree. There were things I had heard before and read about given my interest in this particular area. But there were also points that made me think, especially from Dr. Patrick Dixon and Gerd Leonhard neither of whom I had ever heard speak before. For many, however, that are less immersed in it than me they may have seen themselves as the rabbits caught in the headlights that Charles Christian spoke about. Conferences like this give law firms the opportunity to take stock of their own businesses and look at the things they should perhaps be doing to compete in the new legal landscape that we are entering with the advent of Alternative Business Structures. There is also the fact that technology is a very fast moving area. There are always going to be new developments year on year that mean we cannot be speaking just about what we were speaking about last year. One pertinent point raised by a delegate was that the organisers should be doing more to get Law Firm Partners to attend. Charles Christian responded that this was the holy grail of legal technology conferences. If law firms just send their IT people to these conferences will they really be getting the messages that the conferences convey. Will they be able to change if they don’t know what they need to change. It came across in the conference that lawyers don’t let their IT people speak to their clients. Will lawyers know that this should change if they don’t attend conferences to hear this but instead simply send their IT people to them? 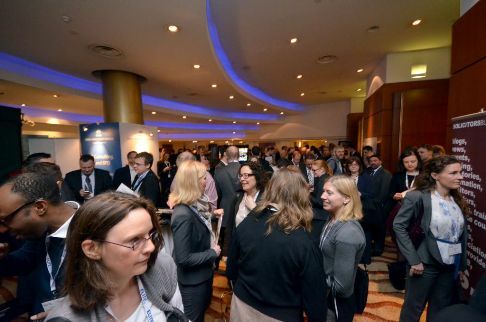 How Netlaw Media can lead Law Firm Partners to LawTech Futures 2013 is another matter. I am afraid I don’t have the answer to that one. Perhaps via their Partners Club there is a way? Can you spot the law firm partner at LawTech Futures? 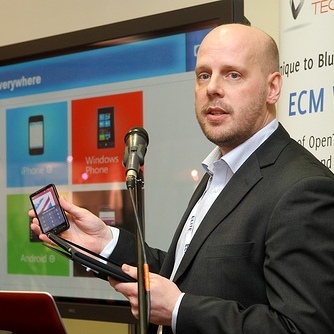 LawTech Futures 2012 was very much about ideas but not a lot about practical experiences. It would be nice to see at LawTech Futures 2013 break out sessions (perhaps in small workshop style sessions like Netlaw Media did at their Key Strategies for Law Firms Conference in 2011) on different areas that law firms might want to focus on with practitioners (as well as rather than just vendors) speaking about the pros and cons involved. This could include many of the topics touched upon at LawTech Futures 2012: Outsourcing, Virtual Law Firms, Document Management, Mobile Applications, Cloud Computing, Client Satisfaction, Social Media, Website/Blog Content, Fixed Pricing, etc. My constructive criticisms are minor compared with what can only be described as a very impressive event. The Law Society of Scotland used to organise ‘Nothing But the Net’ Conferences that were, at the time, well attended. In recent years their ‘The Law is IT’ Conferences have been cancelled due to low sign ups. The Law Society of England and Wales had the same fate with their ‘Law and Technology Forum’ as I mentioned at the start of this post. Lawyers do not, on the whole, take a great interest in legal technology. Netlaw Media and Charles Christian must be doing something right to achieve what the two UK Law Societies have failed to do. Their next task is to get the decision makers within law firms to attend LawTech Futures 2013 so that change can be really driven. Can Netlaw Media and Charles Christian achieve this ‘Holy Grail’? The Time Blawg will be watching with interest. Colmmu on 18/03/2012 at 7:31 pm. The post is a good summary of what I saw being tweeted from the event and I must say I found a lot that was being echoed felt a bit of a time lag, more recent past than tech future I suppose, BYOD is already mainstream as is the cloud etc. I think the reasons so many of these conferences have been falling by the wayside of late is they often don’t add much to the conversation and barely justify the expense. Netlaw pull out more punches obviously, but ironic we’re talking tech futures and we do the conference in an old fashioned way. Maybe Christian et al will do something virtual, along a freemium model sponsored by big players for the next one. Brian Inkster on 18/03/2012 at 9:02 pm. That achievement was a result of you following the hashtag and participating in the conversation. I agree though that more could be made of the hashtag and the inclusion of those outwith the four walls of the Conference venue. It would be good to see at technology conferences such as this a hashtag screen displaying the comments being made and often the questions being asked. Those questions could then be put to the speakers as part of the Q&A session. I was recently speaking at an event on cloud computing where I think I was just about the only person tweeting, but that generated a number of questions. The other speakers were somewhat taken aback at the Q&A session when I announced we had some questions from Twitter and put those questions to them. The questions were, however, duly answered and I tweeted those answers to the tweeps who asked the questions. At LawTech Futures the Twitter names of all the speakers were not apparent until, in some cases, their last departing slide. To keep the conversation going a speaker’s Twitter name could have been permanently on display alongside the Conference hashtag during their talk. Publishing speaker’s Twitter names in the Conference Brochure would also be a good idea.